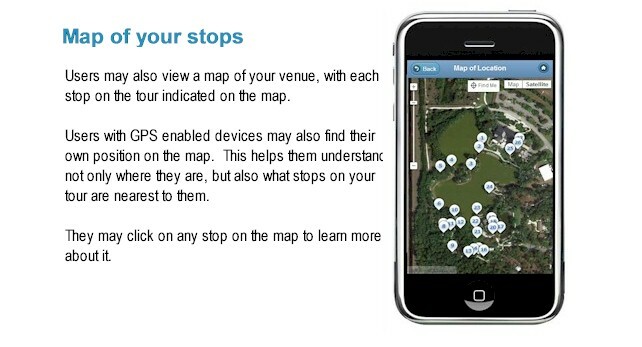 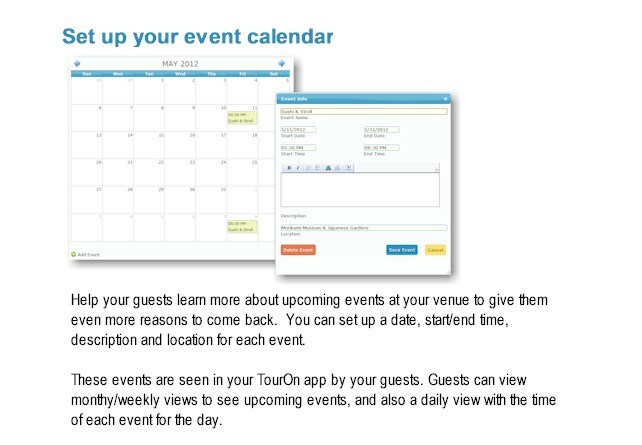 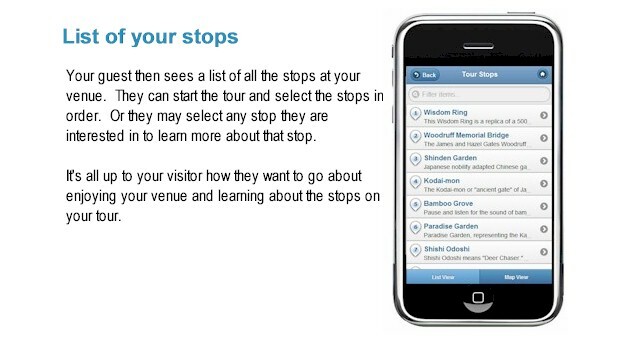 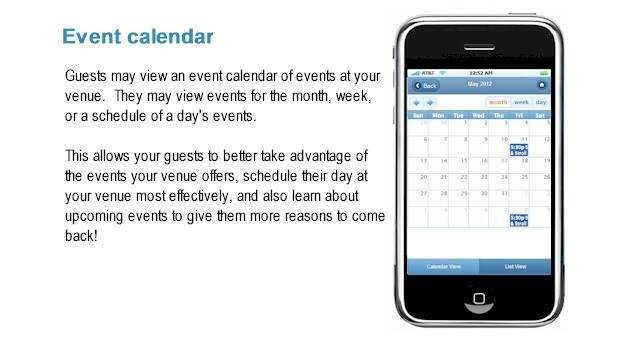 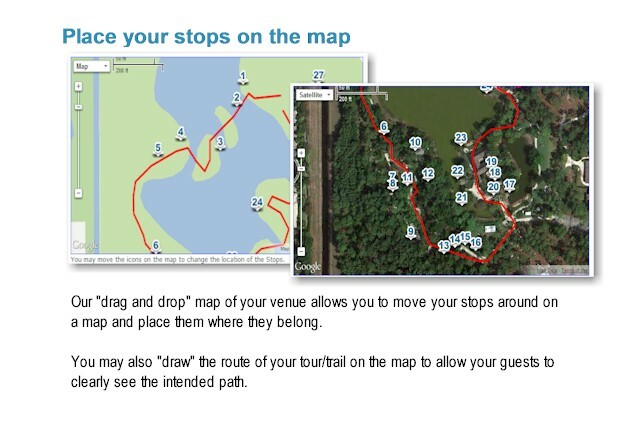 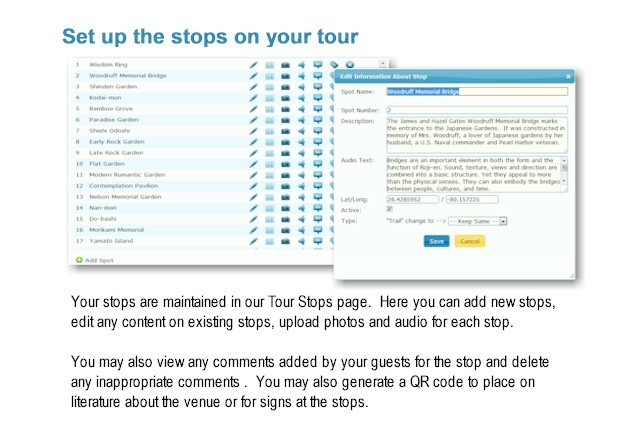 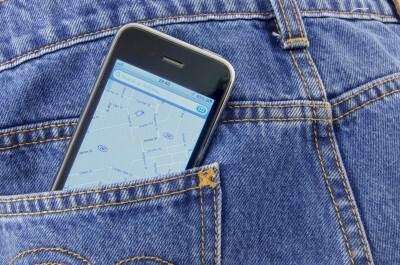 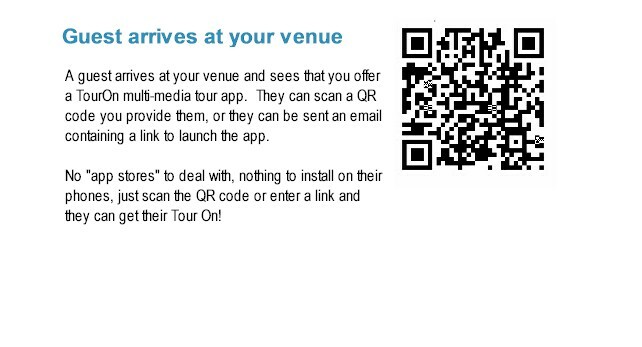 Eliminate the need for bulky handheld, GPS devices and put your venue’s tour directly onto your guest's smart phone. 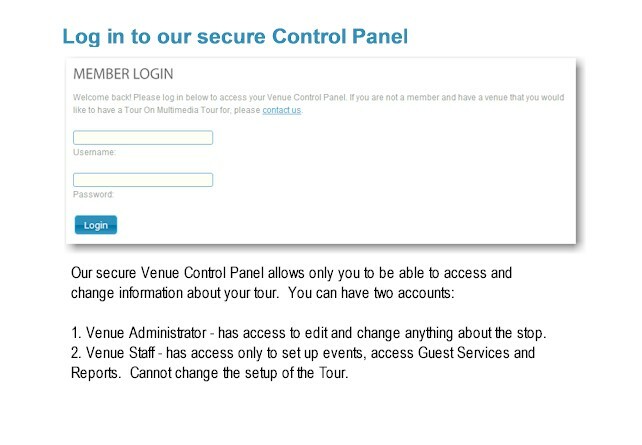 To learn more quickly, please read our FAQ. 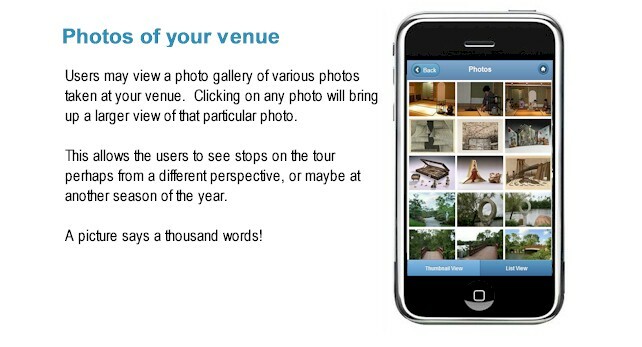 Supports the following features on most smart phones. 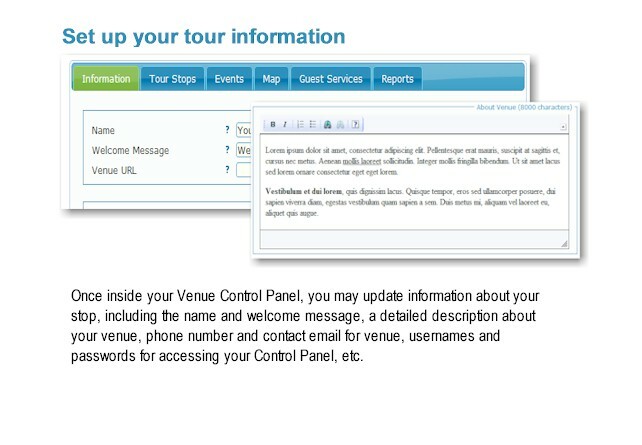 With a user-friendly control panel, you can have your own multimedia tour set-up In just minutes.